Pubs and restaurants have had a tough ride in recent years and the thought of spending out on digital marketing no doubt carries a feeling of risk and a big question mark over what the actual return will be. However the more forward thinking of owners and landlords knows it brings drinkers and diners through the door, including Simon and Erika of The Foresters Arms, Kirdford. 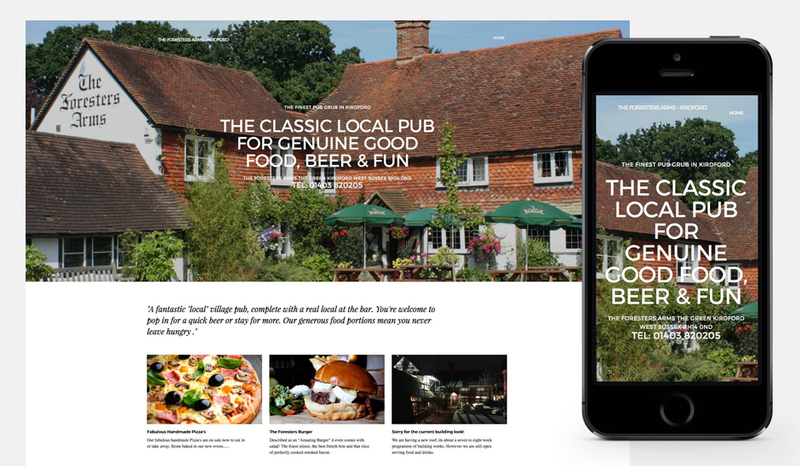 Having taken over The Foresters Arms, Simon and Erika wanted a deliciously stylish website make-over knowing this would be the first port of call for new customers trying out the pub for the first time. 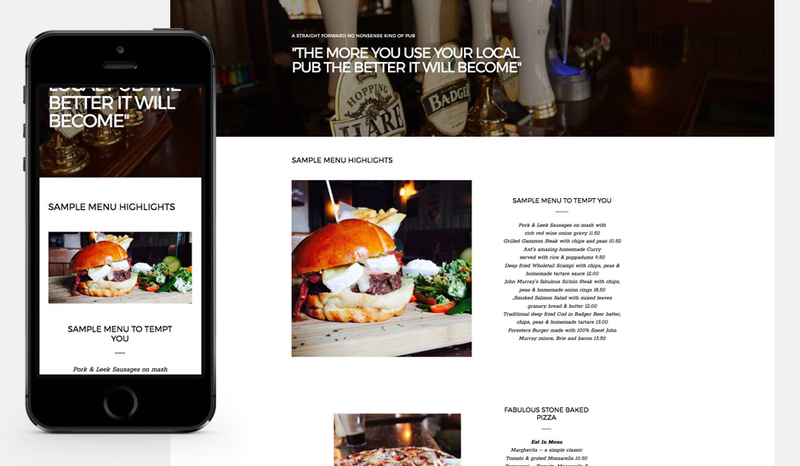 With lots of regular drinkers, the website needed to show they are very much a traditional pub, but also wanted their food portrayed well too. Social media is very visual and we work hard for our clients ensuring they have well designed, well timed posts on relevant social platforms to maximise the response. People often don't realise how time consuming social media is and the importance of maintaining regular interaction. However daily and weekly posts in a variety of formats keeps you at the forefront of customers' minds. Next stop was social media; a brilliant and incredibly cost-effective way of communicating to their audience - and getting feedback. The Foresters Arms had new pizza ovens, new beers and events they wanted to shout about, but being busy pub owners meant they didn't have the time to continually be in front of their computer planning posts. Included in the management of The Foresters Arms social media accounts is the creation of concise videos and photograph of the food and interior. Not only do we want to show how good the food and drink looks, but it's important to capture the ambience, hence video and good quality photography is vital. Choosing Brave Thinking to manage their digital marketing means the overall styling of the website and social media campaign remains coherent and consistent, enhancing the pub's brand and in turn, brand loyalty. And it's already paying off as the number of bookings from new customers has increased and the new pizzas are a huge success. (The Pulled-Pork is our studio's favourite! ).